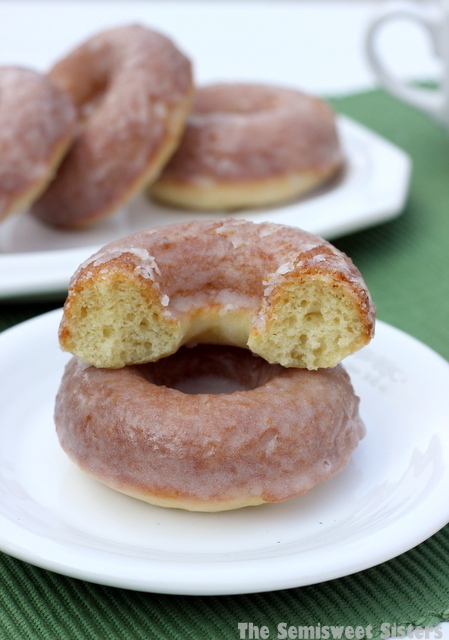 An Old Fashioned Sour Cream Donut Recipe baked in the oven then glazed. My favorite donut recipe! I love old fashioned sour cream donuts. 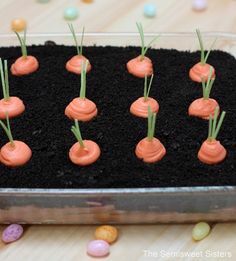 This recipe is great because they are baked in the oven. You wont have the mess or hassle of frying them up in hot oil with this recipe. They are super simple & easy to make. 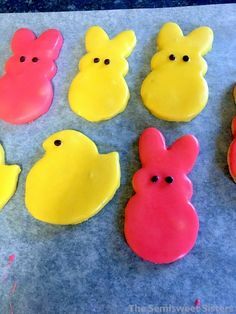 These are so popular with my family that I usually end up making a double batch so they last longer than 5 minutes and everyone can have as many as they want. I actually own 3 Wilton Donut Pans so I can make double & triple batches. This recipe also freeze really well. Its nice to be able to just pull them out of the freezer and have them ready for breakfast in the morning. They thaw really quick or you can microwave them for a few seconds. If you don’t like your donuts sticky then I recommend storing them in the frig to keep the glaze hard. The tops will be a very light golden brown when they are done and they will be springy to the touch. If you have trouble removing them from the pan try using a rubber spatula. 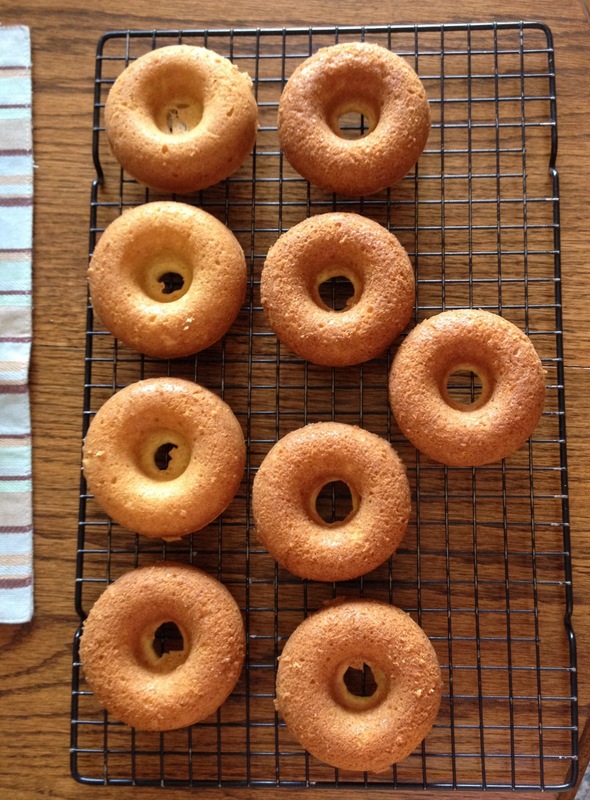 The bottom side of the donuts will be a nice dark golden brown color (as shown above). For the Glaze: In a small bowl, combine powdered sugar & milk together. 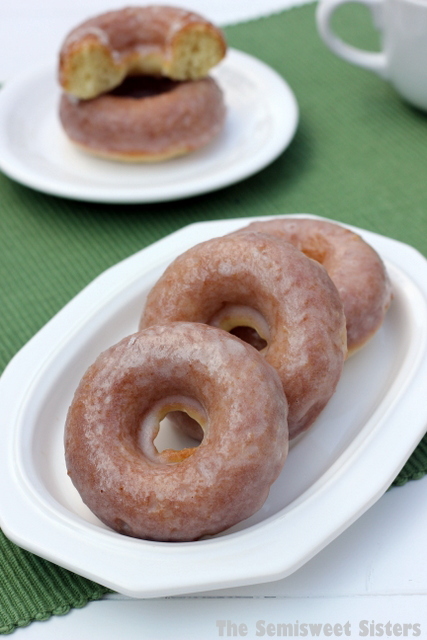 Glaze should be thin so you can easily dip the donuts to glaze them. You may need to add a little more milk or powered sugar to get the right consistency. Once the donuts have cooled down a bit dip the donuts into the glaze, flipping them over so both sides get covered. Set on a cooling rack to dry. Place a piece of waxed paper or paper towel under the cooling rack for easier clean up from the dripping glaze. These look so yummy and remind me of crullers from Krispy Kreme, with the glaze and cake donut. Thanks Jason! I love cruller donuts also. The method (and you mention it in your blog post) says to add nutmeg but there isn’t nutmeg listed in the recipe? Hi, Thanks for pointing that out. I updated the recipe to include it. I forgot to add it in because I usually don’t add it to my recipe when I make it. So sorry for the confusion. Thank you! I took a guess and I got it right. I jut made two dozen for work tomorrow. Just made these this morning. My husband declared them the best sour cream donut he’s ever had! Glad to hear your husband liked them! :) They are one of my favorites! How many do you usually get with each batch? Usually 6-9 depending on how big you want them. Have you ever added blueberries to these? I have a pint in the fridge and I am so tempted! Hi! No, I’ve never tried adding blueberries to this recipe but I think it would probably work out if you did. Hi! Was going to make these for a tailgate tomorrow. Would they be ok to make ahead of time? Thank you!! Hi Jennifer! Yes, I make them ahead of time quite often I would just put them in the frig over night or you can also freeze them overnight & take them out in the morning, they thaw really fast. I keep mine in the frig for a couple of days & they taste good, if I’m not going to eat them for awhile I freeze them. I made these today and they came out great! I was able to get a dozen of giant donuts with a double batch of the recipe. They sure did not last long! Thank you for sharing! Hi Dan, Thanks for commenting! I’m so glad you liked them! This is one of my favorite recipes. Just made these after seeing your recipe. I’ve never had this flavor donut before. Excellent recipe, so easy to make. Thanks for posting it. Thanks Diana! I’m glad you liked the recipe! 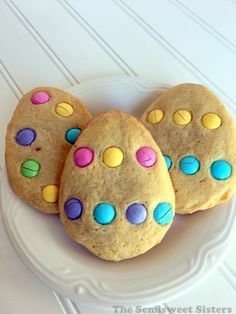 Found your recipe today and they were so delicious! I used Cinnamon Vanilla coffee creamer in the glaze instead of milk. Yum! I can’t wait to try the Chocolate ones! Hi Tammy, I’m so glad you liked the recipe! Using flavored coffee creamer in the glaze sounds delicious! Just wondering if you can use something like applesauce instead of the oil for this recipe? They sound really yummy, but i want to try and avoid using oil if i can.. Thanks..
Hi Laurie, applesauce can usually be used as a substitute for oil in recipes, however I have never tried it with this recipe so I’m not sure how it would turn out. If you give it a try let me know how they turn out. Thanks. The recipe worked great! Thanks for sharing.Yummy!I will make these again. Hi Paula, I’m so glad you liked the recipe! Thanks for commenting! Has anyone ever made these using nonfat Greek yogurt? I don’t have any sour cream on hand and am trying to avoid a trip to the store! 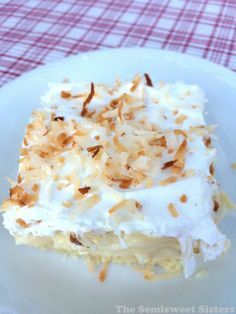 Hi Georganna, I’ve never made these using nonfat greek yogurt for this recipe but I have heard that it works as a good substitute for sour cream in most baking recipes. Thank you Katie!! I’ll let you know how they turn out! I made these with plain Greek yogurt and they turned out great. I also made a batch and substituted applesauce for oil and used sugar substitute along with the Greek yogurt and they turned out good too. made this recipe just as is, and its *perfect* for mini donuts (using the waffle iron sort of maker for them). sometimes these mixes are too dry or too thin and it makes it hard to work with, but this was a snap to pipe out. made 24 perfect little donuts. 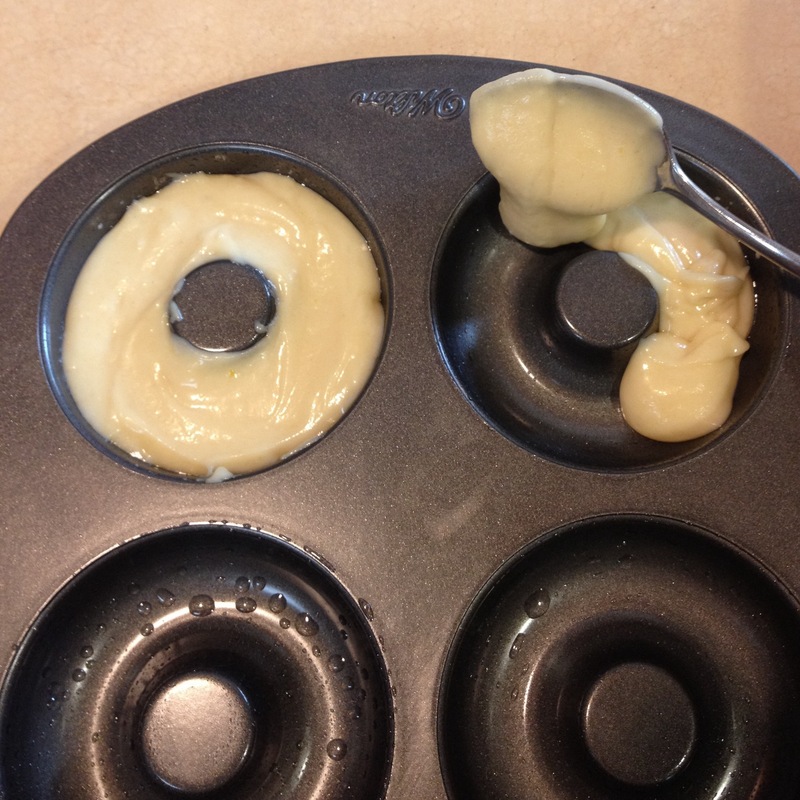 I’m so glad to hear that this recipe worked out perfect for your mini donut maker. This is my favorite donut recipe. Thanks for commenting Zan! These are the BEST baked doughnuts I’ve ever made. 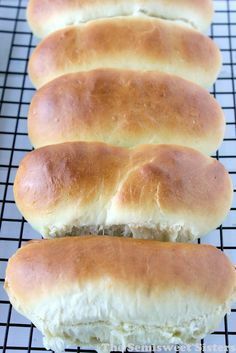 I used Best for Bread flour and they were light and airy and delicious. Thank you ! Hi Lina, I’m so glad you liked this doughnut recipe! It is my favorite! Glad to know that bread flour works well for this recipe. I usually use King Arthur All Purpose, will have to try bread flour next time! I used domata gluten free flour and they were delicious! My celiac son was excited to have donuts again. Thank you! Hi Michelle, I’m so glad this recipe worked out for you making it gluten free. I know how that goes, I have many family members with celiac disease. Hi Stella. I think you could use coconut oil just fine with this recipe. Depending on what kind your using it might give it a different flavor. I’m not sure about using raw honey, it could probably work. I have made this recipe with raw stevia before instead of sugar & it turned out. Thanks so much I will try and see if it works and let u know. ?? Good luck! Hope they turn out for you. The recipe seems pretty versatile. Made this tonight using plain Greek yogurt as a substitute for the sour cream. The donuts were delicious although to anyone wanting to do this, it won’t taste like the sour cream ones you have because you are cutting out the sour cream but it’s still really delicious! I might add slightly more nutmeg and some cinnamon or cardamom next time I make these. Am also going to try the sugar substitute for my diabetic mother. Hi Tybie, I’m glad using the Greek yogurt worked for you. I have made this recipe using the sugar substitute stevia & it worked. Just made them this Christmas morning! I hope my family loves them! Thank you for this very easy recipe! Merry Christmas! Hi Ed! Hope you had a Merry Christmas & I hope your family enjoyed the donuts! If I were to use a mini muffin pan to make “donut holes,” any idea of how long to bake them? Hi Becca, I’ve never made them in a mini muffin pan but I’d say bake them for 8-10 minutes maybe and take them out when they start to turn gold brown around the edge. Thanks! Hello, I’ve been making the sour cream donuts for a while now. I was wondering could I sub yogurt for sour cream? Hi Kyle, Yes you can sub yogurt for the sour cream, it will give it a different taste though. I prefer the sour cream vs. yogurt but you could give it a try! Thanks! This recipe never worked for me? I followed it but the dough was SO THICK. And they never baked properly. Hi Melissa, That is strange. I have made this recipe probably 100 times now and never had the dough turn out thick. The oil and sour cream in the recipe should keep the dough thin. 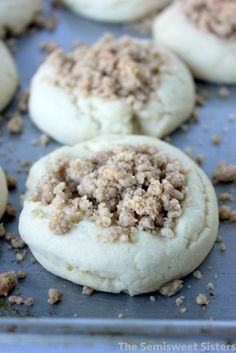 You could try adding a little more oil or sour cream to the dough until in thins enough to pour into the donut cavities. Picky hubby says these are a winner!!! That is a huge compliment. Thank you! Hi Trudi, That’s great, I’m glad he liked the recipe! Thanks for taking the time to comment, we appreciate it! Hi Katie, do you have any calorie/nutritional information on these, by chance? I made them and they were delicious but I’m on a diet haha, so I want to see how over I go when I indulge. Thanks again for the great recipe and clear instructions!